This is the day that the Lord has made and allowed us to see! And because we know His will is good, it is perfect and it is acceptable, we rejoice in that! Today lets focus on remaining encouraged in Jesus to run this race as a good solder. After returning home from a battle, King David encountered a horrific scene; their campsite had been burned and all the women (including his wife) and children had been taken. King David could have easily become discouraged but instead he encouraged himself in God. And so our prayer this morning is directed to keep our mind in perfect peace, quiet the storms in our lives and refresh our spirits as we continue to consecrate and draw nearer to our God and do the things of God; even as we continue to focus on our purpose in God. ¨ raised from death to life. ¨ forget what is behind and do your best to reach what is ahead. ¨ run straight toward the goal in order to win the prize, which is God's call through Christ Jesus to the life above. So today, focus on verse 13; forget those things which are behind you and focus on those things ahead of You. With his mind set, You should know that there is peace for our soul, it comes directly from above and the world can’t take it away. That peace is Jesus, let Jesus be the lover of Your soul. In Him You can find a place where Your soul can be at rest and the peace of God will flood Your soul and keep You happy and blessed. In Romans, Paul lets us know that all things work together for the good of them that love the Lord and are called according to His purpose. Note that all things work together for THE good; not necessarily what we might call our good but for the good thing that God has purposed in our life according to HIS will. This lets me know that sometimes God will allow things in our life that will bring us to the purpose that He has designed for our life. Consider Joseph who was enslaved in Egypt! It seemed like a bad thing, a horrible thing. But look how it worked out. Joseph was able to save not only his family but the all the children (his family) of Israel. And on top of that He was blessed of God beyond his wildest imagination. That’s a perfect example of how God will work things out for the good so that the glory goes to Him, but You are blessed in the process. So it may not always feel good, it may not always look good, it may be painful in the process and you may think you will never see the light of day again, but what we don't see while we are going through difficult times is God working behind the scene orchestrating things on our behalf. That’s powerful because God gave Isaiah a glimpse of who He is and how powerful He is! Dear heavenly father, we thank You for this day, for this opportunity to unite in prayer and supplication before You. We thank You for Your sovereignty in that You allowed us to wake up this morning, clothed in our right mind, with our health and our strength. We thank You heavenly father for a steadfast desire to serve You despite whatever obstacles come up against us - knowing that You say in Your word to arm ourselves for suffering even as our Lord and Savior, Jesus Christ suffered. And while in our suffering and our going through, teach us, Lord, to take comfort in knowing that You will never leave us nor forsake us. In Your word, You tell us that the battle is not ours, that it belongs to You. So when we feel overwhelmed with the cares of this world, help us Lord to stand, when we’ve done all that we can possibly do, help us to stand with our faith rooted and grounded in You. Increase our faith in You so that our total reliance is in You. This day, Lord, as we go forward in our daily activities, help us to think on those things which are true, which are noble, and right and pure and lovely, and admirable and praiseworthy; Keep all negative and detrimental thoughts from taking a hold in our mind. Help us to walk upright before You, help us to present ourselves to a dying world as ambassadors, as shining lights, and servants. Help us, Oh Lord, to press towards the mark for the prize of the high calling in Christ Jesus. Lord You've given us everything in Your word to keep us and sustain us, You’ve given us Your precious gift of Your holy spirit and You said If we delight ourselves in You that You will give us the desires of our heart. You said if we commit our ways unto You and trust You that You will bring it to pass. Because You said it in Your word, Lord, in our trust and faith in You, we believe it. And You said Lord to rest in You and to patiently wait for You. Lord help us to obtain patience; patience to be still and wait on You. Lord, we thank You for the angels that You have dispatched to keep watch over us. You said You would never leave us nor forsake us. And for that we thank You. Thank You that we have someone we can go to, someone we can count on. We magnify Your name, Lord. We give You all the glory and the honor. We praise, worship and adore You! We thank You Lord for being our refuge and our fortress; our strong tower that we can run to in times of distress. 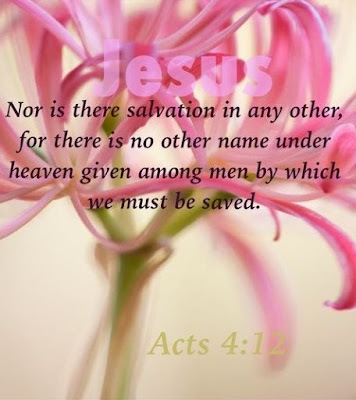 We thank You God for Jesus who You sent here to save us and wash our sins away. Through His blood, is the power to heal. We thank You Lord because we have someone to call on, when we’re in need, You’re the first one we’re to call on. If ever we needed You, Lord Jesus, it’s now - as we wait on and receive instruction from You. Oh, Lord, we love You because You first loved us and purchased our pardon way back on Calvary. You are our precious redeemer, and we pray that You bind us closer Lord to You, Every hour of every day we pray that You send Your power, because we can’t make it without You. Give us increased faith, Lord God, when we call on You, to know that You will rescue us, that You will protect us and keep our minds in perfect peace. Help us to remain steadfast in You so that when we call upon You, You will not only hear our cry from above but You’ll answer us, You’ll be with us and deliver us in our times of trouble. Lord we acknowledge that we just can’t do without You, we need Your power and Your strength. We can’t help our self, we need You, Lord, we cling desperately to You. Thou wilt keep him in perfect peace, whose mind is stayed on thee: because he trusteth in thee. Trust ye in the LORD forever: for in the LORD JEHOVAH is everlasting strength. This is a great promise from God! Give God praise because His word is always ‘yea’ and ‘amen’. Be blessed today in all that you do!